Fashionably fit is just a tap away with vívomove HR. 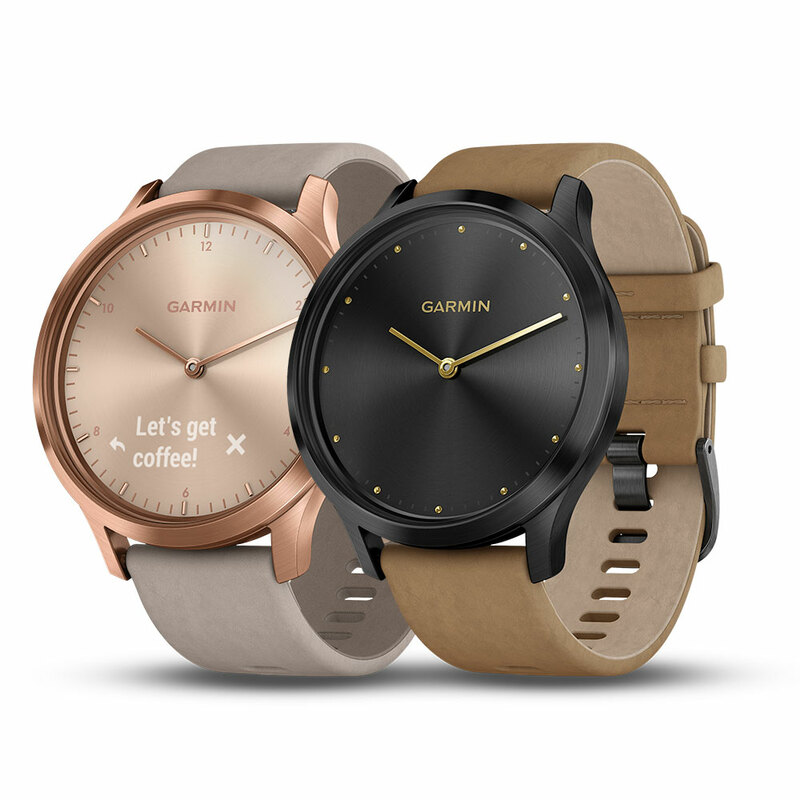 This stylish hybrid smartwatch features a touchscreen with a hidden display. Real watch hands show the time and dynamically move away when you swipe through your messages, heart rate² and more. It counts your steps and calories while monitoring wellness, including all-day stress tracking² and advanced sleep monitoring. You get the best of both worlds when physical, ticking watch hands meet a touchscreen and a hidden display. The smart display only appears when you quickly turn your wrist to glance at your watch. The watch hands even dynamically move out of the way when you interact with the touchscreen then move back to the correct time when you are done. Never miss a text or notification, thanks to smart notifications¹ that appear on your digital display. 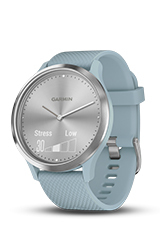 Your fitness and wellness tracking data will be automatically uploaded to our free Garmin Connect™ online community. Even control your music from the watch. Sleep can improve your health, your mood and your overall well-being. vívomove HR features advanced sleep monitoring to help you measure how much sleep you’re getting and how much time you spend in each stage of sleep². 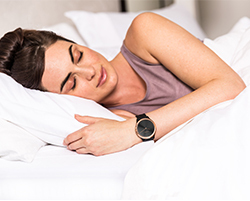 The watch pulls data from your heart rate and heart rate variability to measure how much time you spend in each sleep stage — light, deep and REM. You can review the data later in Garmin Connect. vívomove HR is truly made to look good and help you feel good. 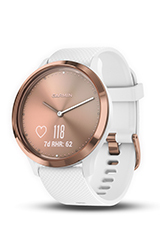 This watch features fitness monitoring tools that give you a better idea of your current fitness levels. Thanks to the wrist heart rate monitor, you can get a VO2 max estimate. It can also gauge your fitness age, so with hard work and regular exercise over time — you can work toward a lower number. No need to start and stop your activity timer each time you begin a walking or running activity. The vívomove HR smartwatch automatically starts these activities and then lets you review your daily activities on Garmin Connect. No matter what you’re wearing, vívomove HR is the perfect accessory. It’s compatible with industry standard 20 mm quick release bands, so you can get a band in every color and effortlessly change them whenever you like.